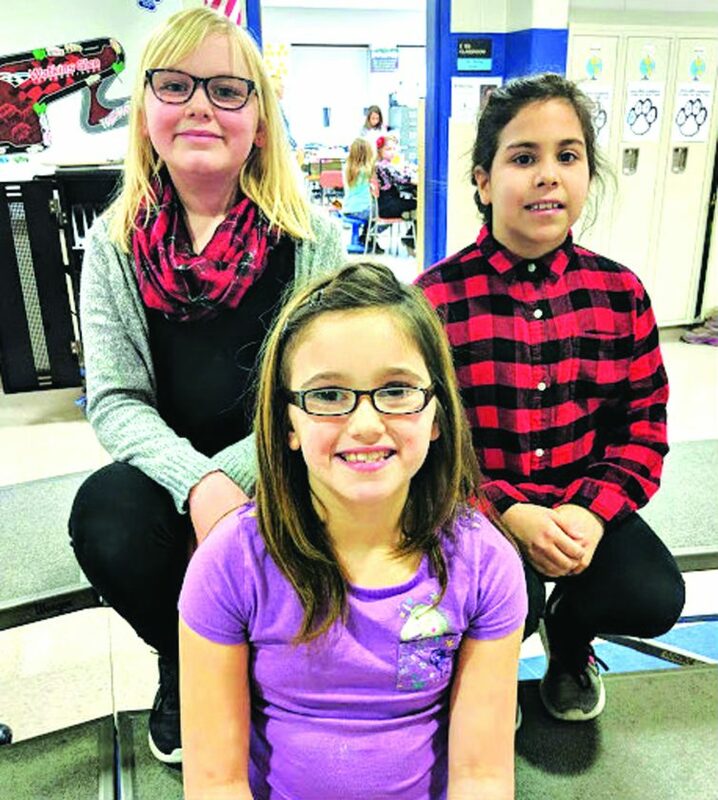 Pictured is the trio of third graders Leah Shultz, Norah Tadt and Raelin Smith. 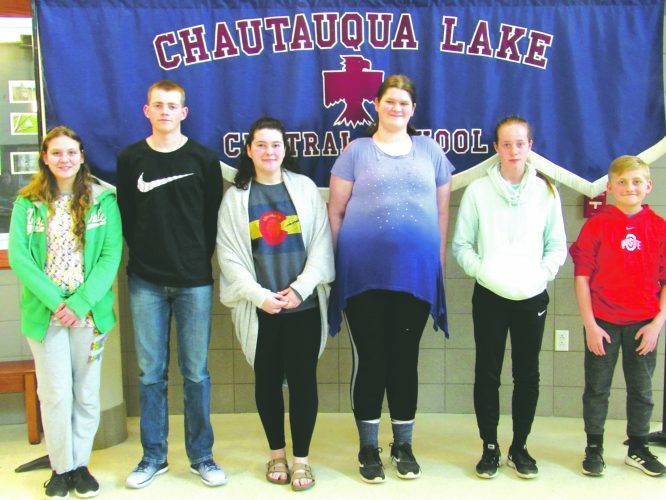 GOWANDA — To promote a positive school community, we emphasize commendable core value traits each month. 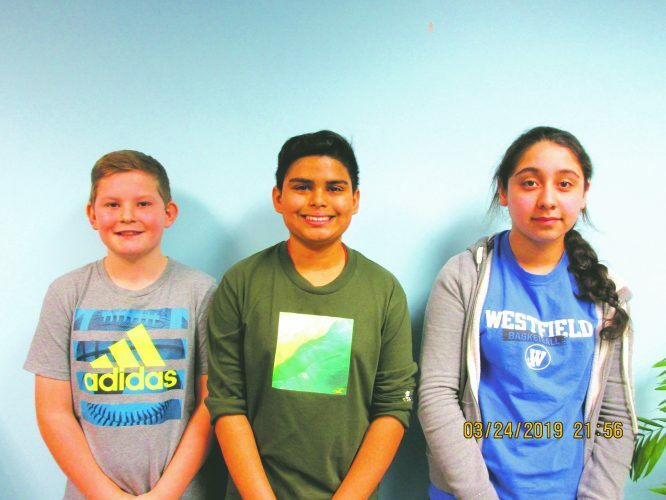 Congratulations to the following students who “got caught” displaying these values to their fellow classmates in January 2019. First-grader Grace Carson, a student in Mrs. Steuernagel’s classroom, “got caught” showing Caring and Kindness by finding another student’s toy at parent pick-up and giving it back to the student. We need more like you, Grace! 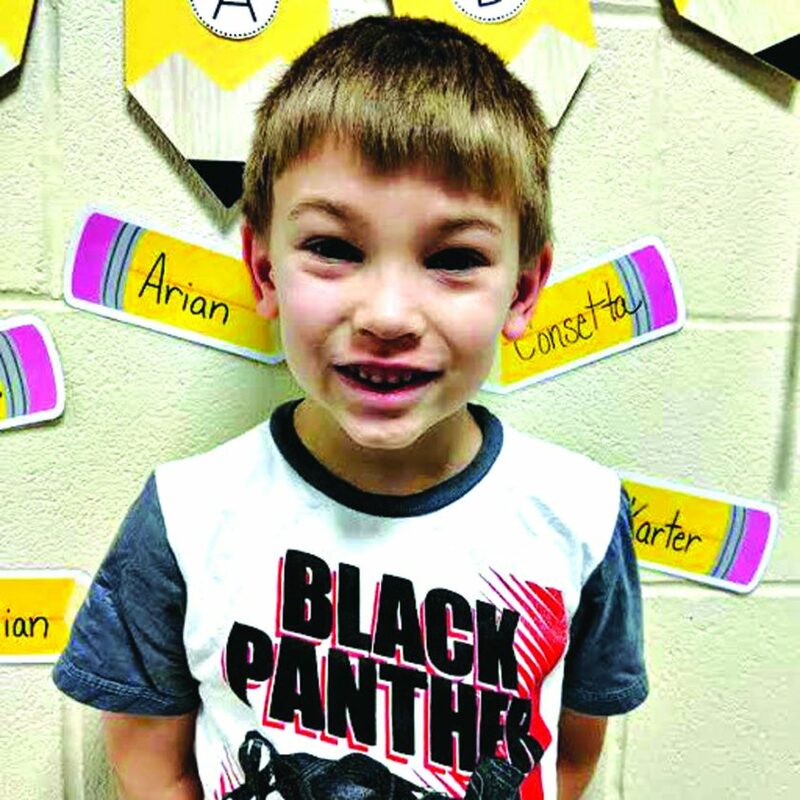 First-grader Jaxon Gernatt, a student in Mrs. Bull’s classroom, “got caught” displaying Determination by always completing his work. He does not give up even when tasks are difficult. 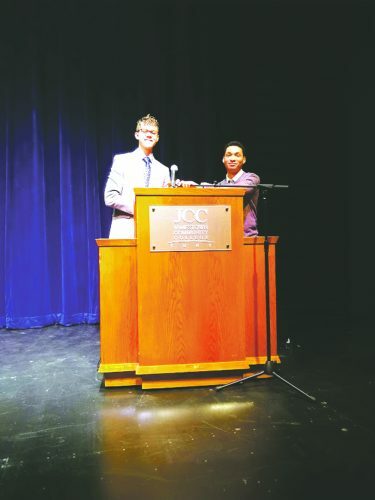 That’s a very admirable trait, Jaxon! 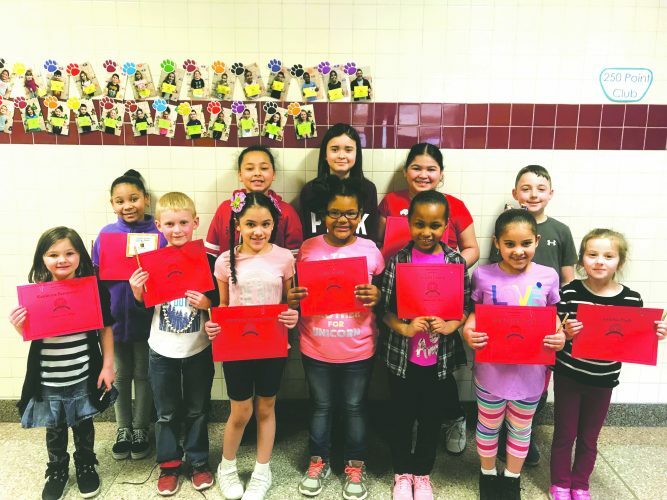 First-grader Alaya Barton, a student in Mrs. Setter’s classroom, “got caught” showing Caring and Kindness by offering her turn to a classmate in the library who was sad to be going last. Thank you for being so kind and caring, Alaya! 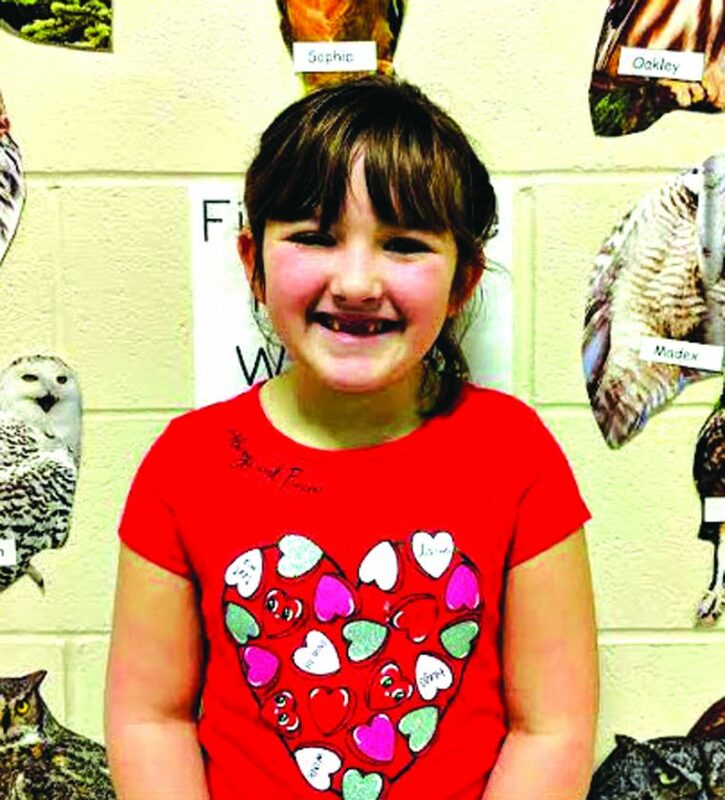 Third-grader Leah Shultz, a student in Mrs. Reding’s classroom, “got caught” displaying Caring and Kindness by helping another student at lunch who was crying and upset. Thank you for being a good friend, Leah! Pictured is first grader Alaya Barton, Barton was caught showing Caring and Kindness. Third-graders Norah Tadt and Raelin Smith, both of Mrs. Reding’s classroom, “got caught” displaying Teamwork by helping to clean up other classmates’ work stations in the library even though they didn’t get any of those supplies out. Thank you for being part of the team, Norah! Thanks for chipping in, Raelin! Pictured is first grader Jaxon Gernatt, Gernatt was caught displaying determination. 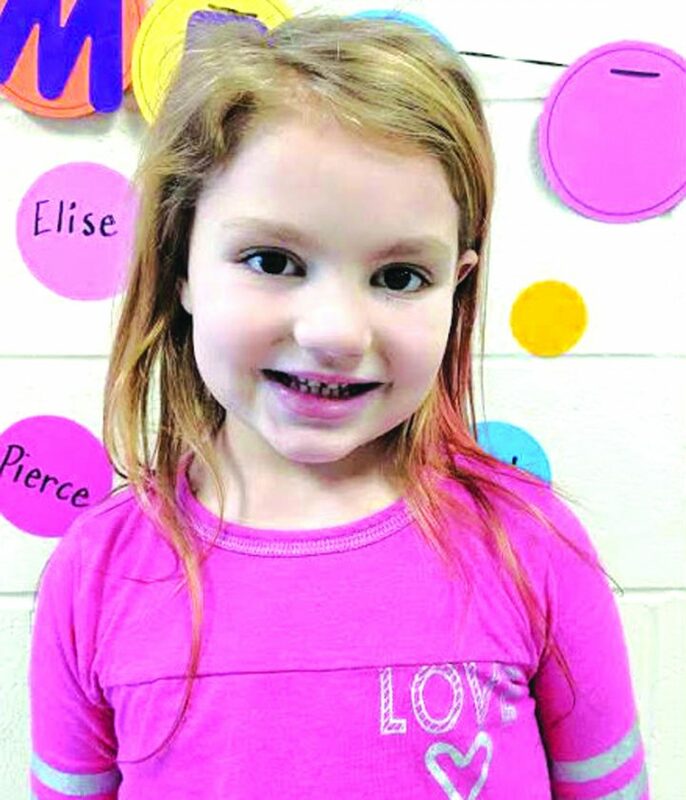 Pictured is first grader Grace Carson, Carson was caught showing Caring and Kindness.